Posted on 24/05/2018 at 13:56. 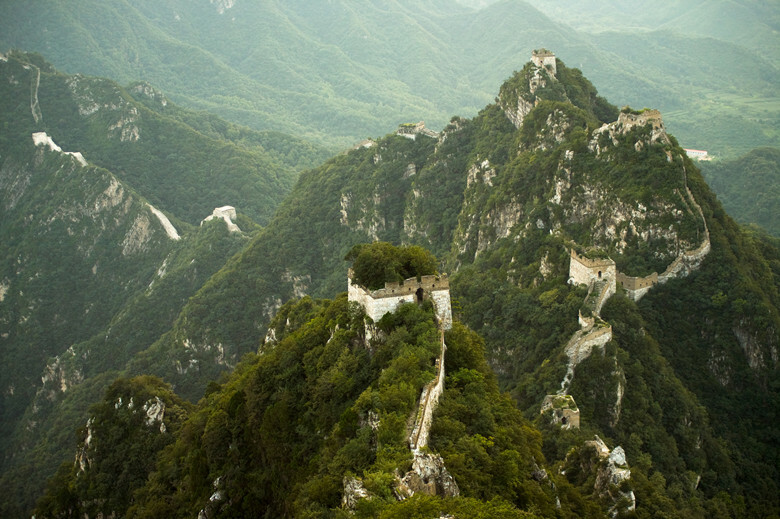 You don’t have to be a seasoned adventurer to hike from Jiankou to Mutianyu Great Wall. But just because it’s popular doesn’t mean it’s easy. If you’re thinking about hiking it for the first time, consider these tips before you go. 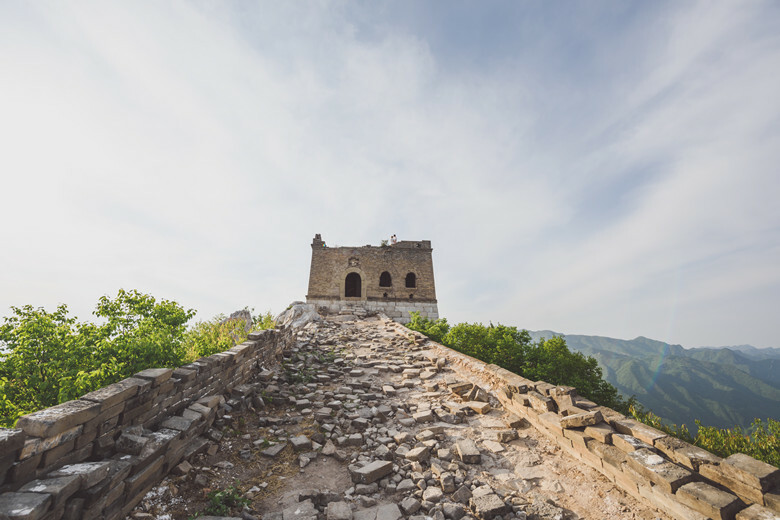 You can climb to reach Zhengbeilou Tower in a sturdy pair of sneakers, but it’s best to opt for something with ankle support. The trail is steep and mostly dirt. You probably don’t need hiking poles, but it’s a good idea to bring along a sunhat and sunglasses in Summer and Fall. If possible, avoid wearing cotton – it traps moisture in summer. Wool or microfiber clothing is best. Packing only the essentials can help you hike Jiankou & Mutianyu successfully. Avoid bringing unnecessary items that will only make your backpack heavy and bulky. Just bring only what you need like water, snacks, hat etc. for a day hike. You’ll fell more comfortable on your journey with a lighter pack. 3. Eat A Big Breakfast Before Your Hike. Eating a lot of food will boost your metabolism, which will generate body heat, and keep you going all the way to the top. 4. Postpone Your Hike If the Weather Is Bad. The weather in Jiankou Great Wall is unpredictable, and it change unexpectedly. Before you start your walk check Jiankou & Mutianyu Weather Forecast – if high winds, heavy rain/snow or low cloud is predicted, it is better to save your walk for a clearer day. 5. Get Ready For A Workout. Jiankou & Mutianyu is a moderate hike. It’s suitable for all age groups with average fitness. However, the first hour of hike towards Zhengbeilou tower is a little bit challenging. If you haven’t exercised in a while, take it slow. On a hot summer day, weather conditions can make the hike a lot tougher than what you have expected. Go too fast and you risk losing the energy (mental and physical) to make it to the top, better take it slow. 6. Save Lunch For Zhengbeilou Tower. If you packed food, try and save it until you get to the top–Zhengbeilou tower. You will be rewarded with spectacular panorama of Jiankou at Zhengbeilou. Even on a cloudy day, you get sweeping views of the West part of Jiankou, which makes your meal taste much better. 7. Take It Slow Coming Down. You might think coming down Mutianyu is the easiest part of the hike, but it is also very hard on your legs. 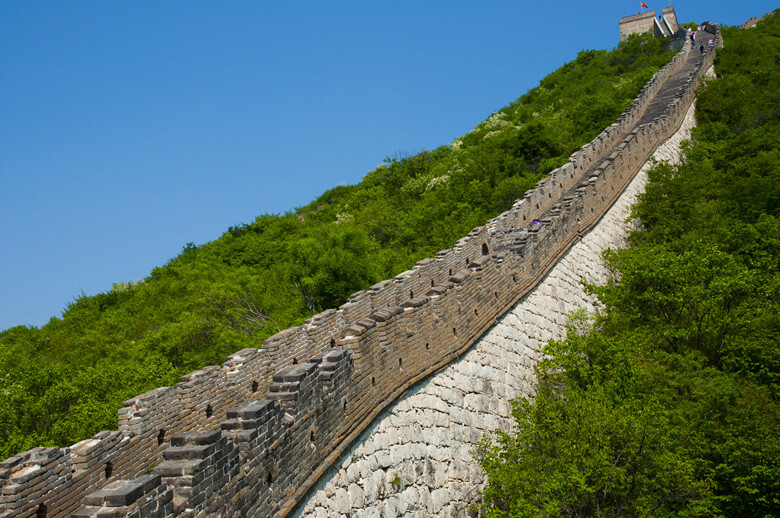 The section between tower 19 and 20 in Mutianyu is 70 to 80 degrees in height with more than 440 vertical steps. Your legs muscles are probably tired when you finished Jiankou part, and it’s easy to let your mind wander and lose focus on the steps. You’re more likely to slip and fall coming down than going up. It’s advisable to take it slow coming down. Sometimes, hiking can feel like torture. If you find yourself cursing the trail, – just stop, take a few breaths, and take in your surroundings. You will be inspired and amazed at how people built such an unbelievable structure hundred of years ago. Listen to the silence of the mountains, take time to sit on the edge of the wall. You’ll get many rewards along the way.